Avoid using cooking stoves or ovens for space heating. 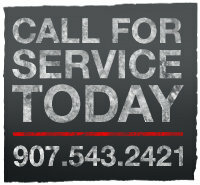 Clean or change your furnace filters regularly. Have your heating systems and appliances inspected periodically to make sure they are operating safely and efficiently. Caulk around windows and install sliding draft guards under doors – simple steps like this can help you save up to 20 percent on heating costs! Install gas/CO2 detectors to alert you to leaks or dangerous levels of CO2. Install a programmable thermostat so you can schedule your home’s heat to lower automatically when you are away or asleep. Turn down the temperature of your water heater to the warm setting (120°F). Run generators outside, away from windows or building air intakes. If you smell gas, immediately put out all open flames and leave the area. Monday – Saturday, 7:00 a.m. to 7:00 p.m.
Sunday, 10:00 a.m. to 7:00 p.m.
Monday to Friday, 8:00 a.m. to 4:45 p.m.
Payments accepted: MasterCard, Visa, American Express, and Discover cards. For aviation fuel the AVCARD is also accepted.